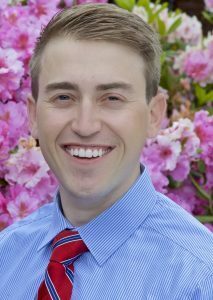 Dr. Nick Parque received his undergraduate education from Gonzaga University in Spokane, Washington, after which he successfully completed his D.D.S. at the University of Detroit Mercy School of Dentistry, in Detroit, Michigan. Following dental school, Dr. Parque pursued advanced training through a General Practice Residency at Swedish Medical Center in Seattle, Washington. This residency training gave him experience treating patients with complex medical issues, including patients with developmental delays, and those with dental anxiety. This residency experience also enabled Dr. Parque to obtain advanced training in oral surgery procedures, pediatric dentistry, implant dentistry, and root canal therapies. Dr Parque is also credentialed in IV Sedation Dentistry. Dr. Parque treats his patients like family and takes pride in delivering the highest quality of care to all of the patients he sees. Dr. Parque enjoys participating in many outdoor activities available to us in the beautiful Pacific Northwest. His Labradoodle, Wrigley often comes along. Dr. Parque is also fond of reading, playing his guitar, and cheering on the Zags.